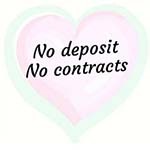 We are dedicated to providing the highest quality care at affordable prices. We focus on the everyday tasks that can drain your energy and desire to get out and live. Caring for a loved one at home can be physically and emotionally tiring, thankfully, you do not have to do it alone. As your primary provider of personal care services, or as a supplement to your existing care providers, Care from the Heart delivers the highest quality home care in Sun City and the Northwest Valley at affordable prices. Nowhere in the Northwest Valley will you find this kind of friendly, compassionate care with a personal touch. We have provided thousands of families with quality care and support for their loved ones. Enjoy peace of mind both you and your loved ones will have knowing you’re in capable hands. 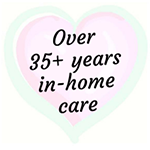 Visit our in-home Care Services page for more information. From three hours at a time to 24 hours a day, we’re available to meet your individual needs — and we never charge extra for nights or weekends. Visit our in-home Care Services page for more information. Caring for a loved one at home can present real challenges – some that require the help of a qualified, outside source. 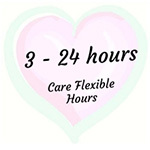 With over 35 years of experience, our caring staff is on call 24 hours, 7 days a week. Do you or a loved one need assistance? We offer services focused on the Activities of Daily Living.